Vegas Ring Announcer: Introducing the undisputed champion of the world: Kelly Robinson. 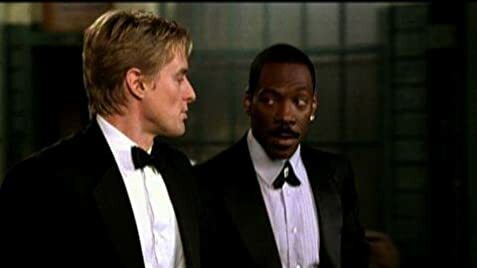 I always liked Owen Wilson and Eddie Murphy, so I thought, in case the movie is worth nothing, I'd still get to see some friendly faces. For better or worse, I can say it was about what I expected. 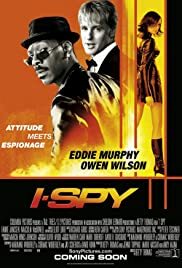 I put this movie in two categories, and I think I placed it right: it's a decent comedy, with parts attempting to live up to an action movie. At its heart though it tries to be comedic and funny, so that's upon what it should be judged. Thankfully, you will get the chance to laugh out loud, but unfortunately not as much as you'd like to laugh out loud at a comedy. I won't even mention rolling on the floor. The story isn't something really new, but it has quite a few humorous plot twists. The so-called funny character is Kelly, who really inflicts a fair amount of pain on his adversaries, but he is just such a nicely drawn, egocentric guy, that it actually works on a comedic level. It's always just about him, and him and then some more. The actors have their charm but I won't really dwell on this as they are as high profile as it gets, Hollywood style, so you know what you get. Perhaps Wilson could have spiced up his game with a bit of the unexpected, but all in all he does what he does best. I did feel a bit let down by the special effects, with some flimsy looking explosions placed here and there. However, the host city of Budapest looked really gorgeous throughout, making it well worth it's money shots. To draw the line, the film isn't great, but it's fine enough. No brilliant ideas, or anything like that, just the usual comic stuff.